Welcome to the thriving world of Bothra Metal & Alloys Pvt. 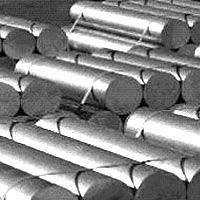 Ltd., a company that is engaged in the dealing of aluminium section, Aluminium Profile, Aluminium Alloy Ingot, Aluminium Ingot, Aluminium Section, foils and scrap as well as copper, iron & steel scrap. We are one of the best aluminium extrusions suppliers in India. The aluminium fabrication, aluminium billets are some of our products that have acted as part and parcel in the success of our business. We have always delivered quality products to our customers located in the home fronts as well as in the foreign market.